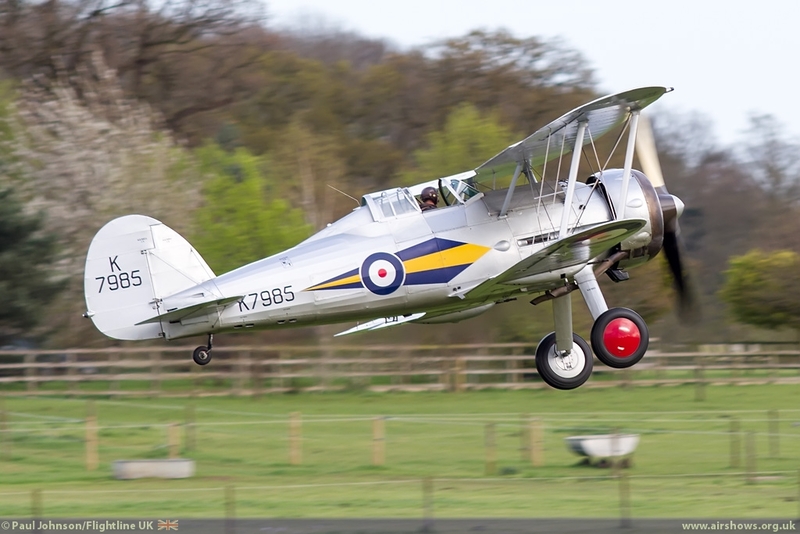 Less than a week after the opening flying display of the season at Old Warden, the Shuttleworth Collection held its first Evening Flying Display of the year. 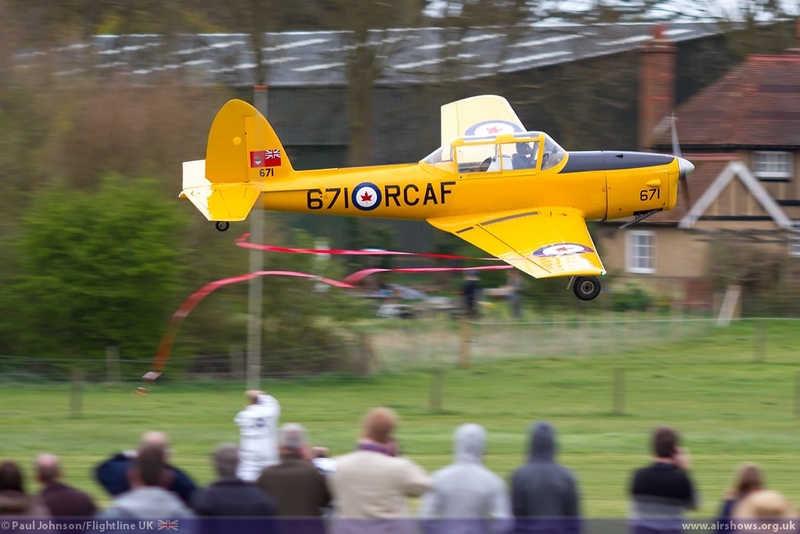 In your authors opinion these are the best events of the year as they really showcase the magic of the collection and provide a very relaxing and different flying display experience for visitors. 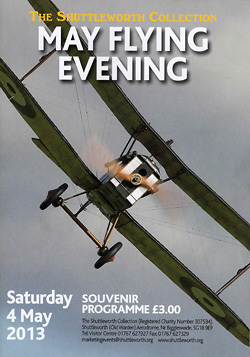 Old Warden's evening shows often are the best chance to see some of the collection's Edwardians and more delicate aircraft fly as the wind drops. 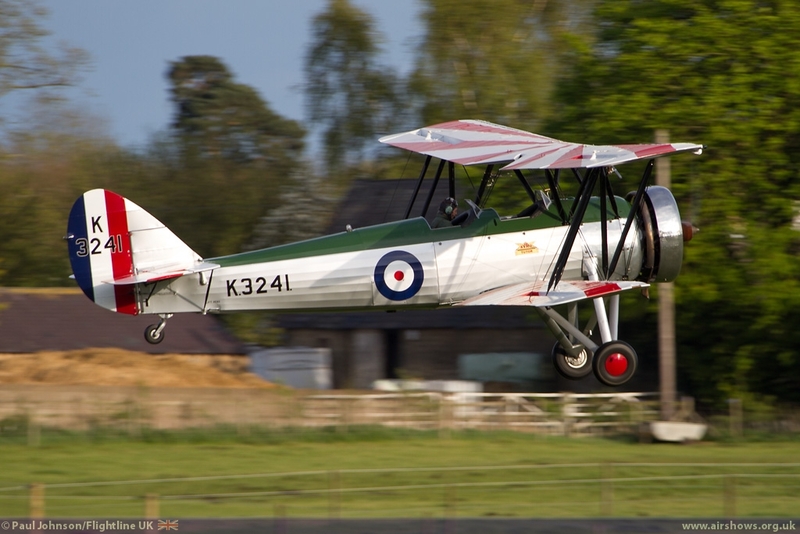 Alas for the May Evening flying display this was not to be. 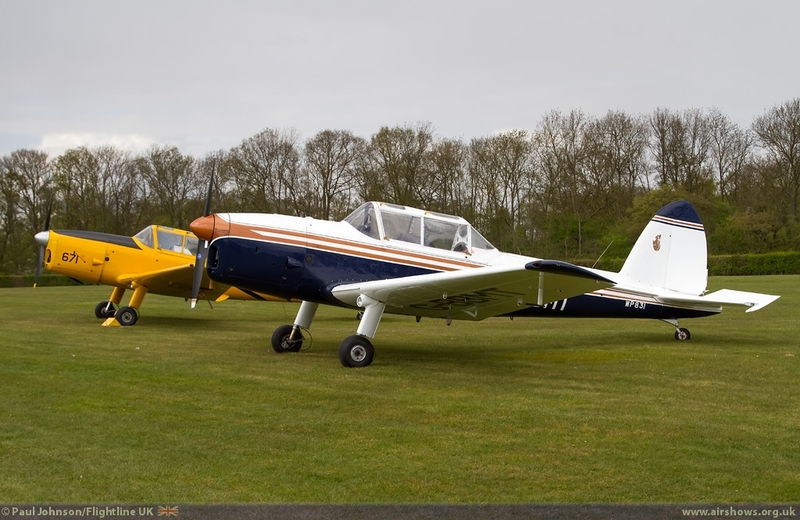 Initially the weather forecast has looked very good, but on the actually day despite it being warm and sunny, some brisk winds and heavy showers crossed the southern UK. 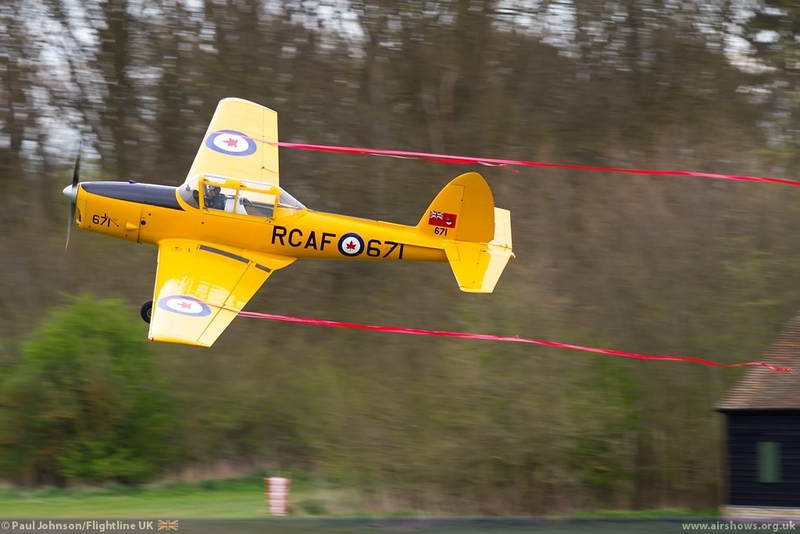 Though the showers had all passed through by the start of the flying display, the winds simply didn't drop enough leading to a rethink of the planned flying programme. 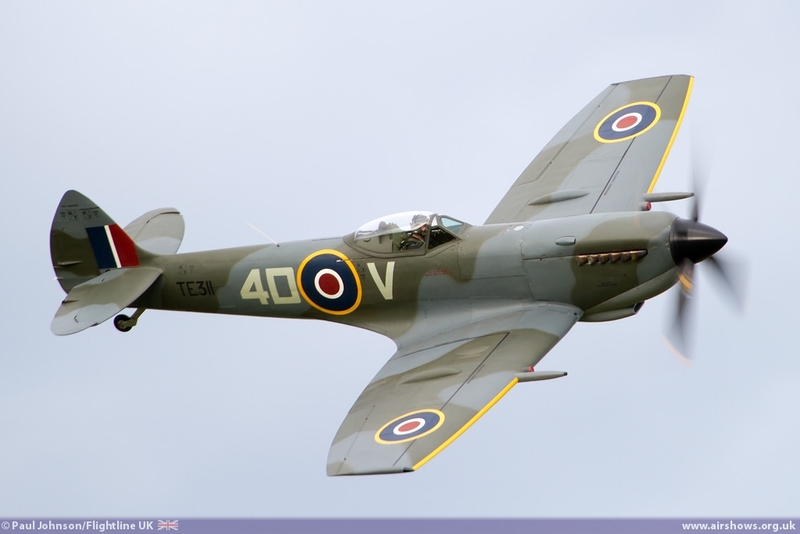 Opening the flying was a real treat, the Battle of Britain Memorial Flight's latest addition to the fleet, Supermarine Spitfire XVI TE311 flown by OC BBMF Sqn Ldr Dunc Mason. 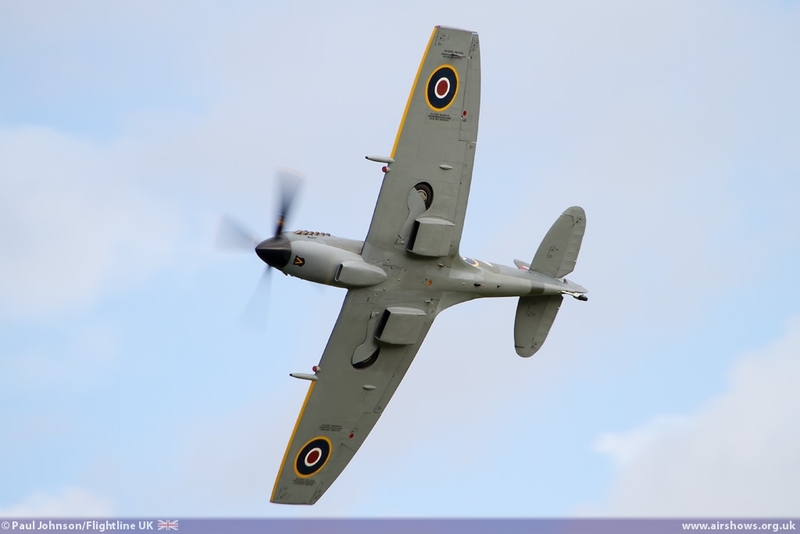 Dunc performed a few curving flypasts over Old Warden on his way back home to the BBMF's base at RAF Coningsby showing the aircraft off very well around the curved crowdline. 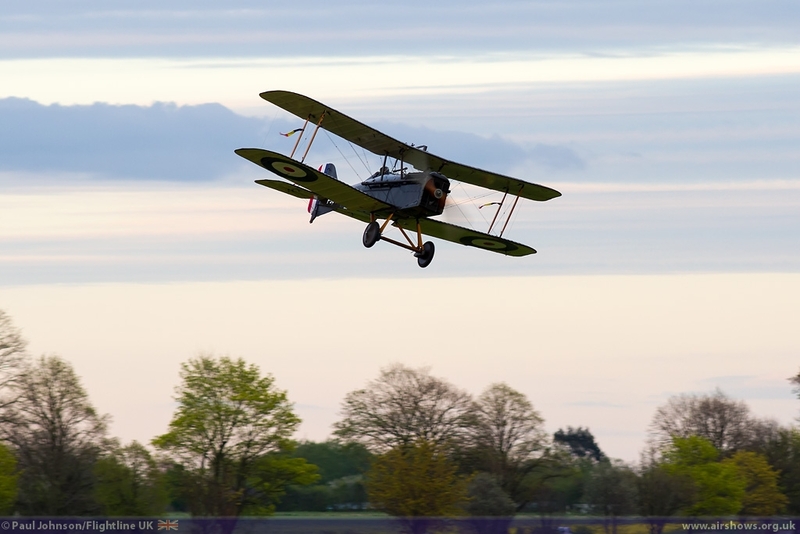 Following the Spitfire, the Collection's Piper Cub performed a banner tow welcoming visitors to the Shuttleworth Collection for the day. 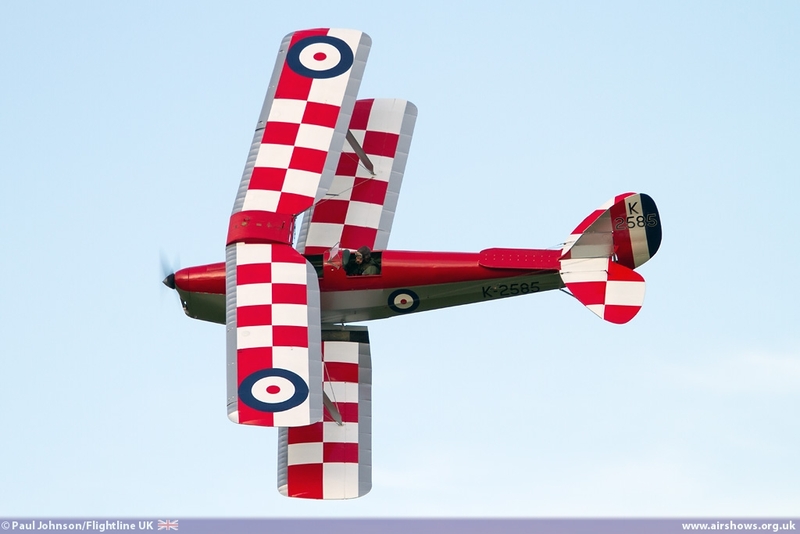 The flying display proper got underway with two stunning examples of Hawker Biplanes; the Shuttleworth Collection's Hawker Hind and the Old Warden based Hawker Demon. 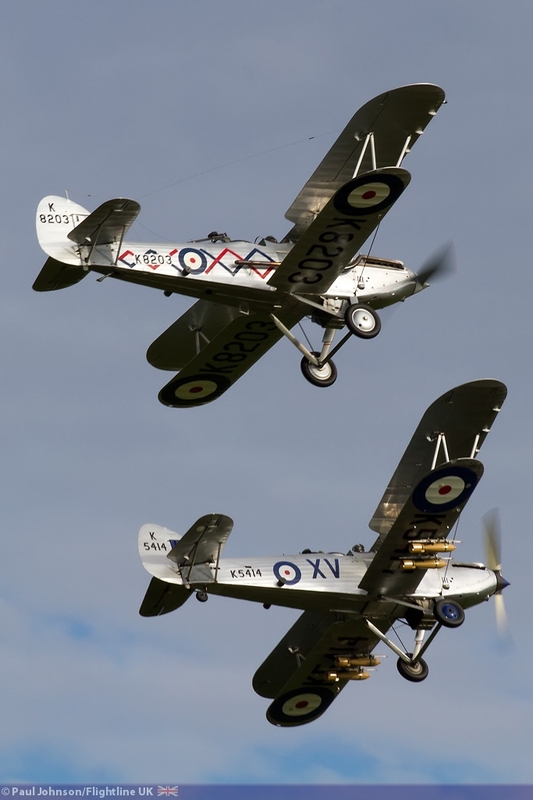 Against the dramatic grey clouds and illuminated by the bright sunset, the two silver biplanes looked stunning. 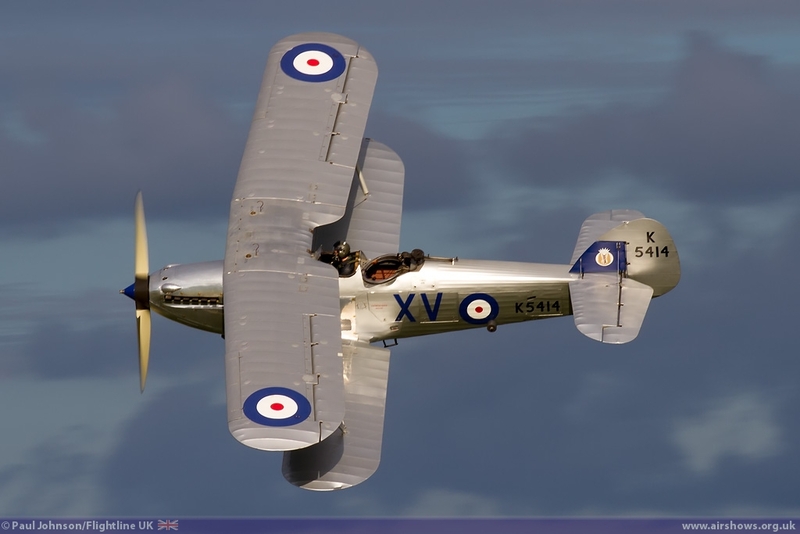 More silver doped biplanes came from what was dubbed the 'CFS Pair' of Avro Tutor and De Havilland DH82a Tiger Moth. 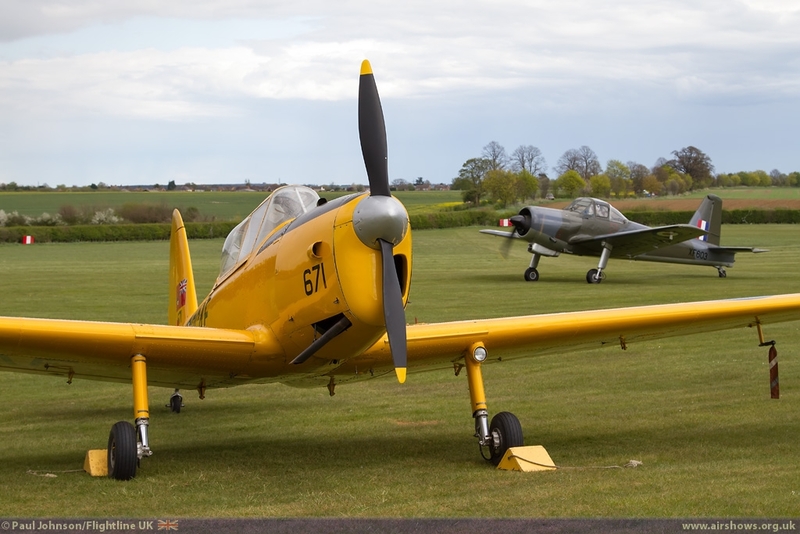 Both of the aircraft wear colours of Central Flying School Aerobatic teams of the 1930's. 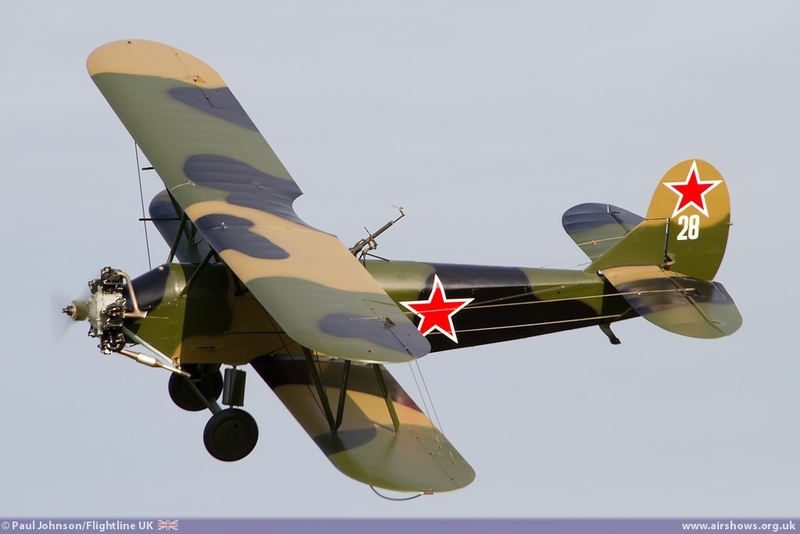 In contrast was the camouflaged Polikarpov Po-2 flown by Chris Heames. 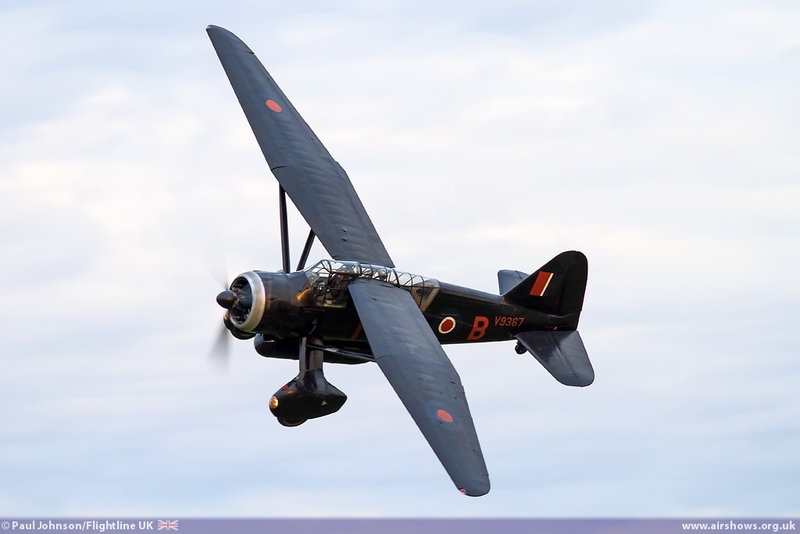 The Po-2 is an imposing aircraft, but is also regarded as one of the nicest aircraft to fly in the Collection despite the very agricultural sounding engine note! 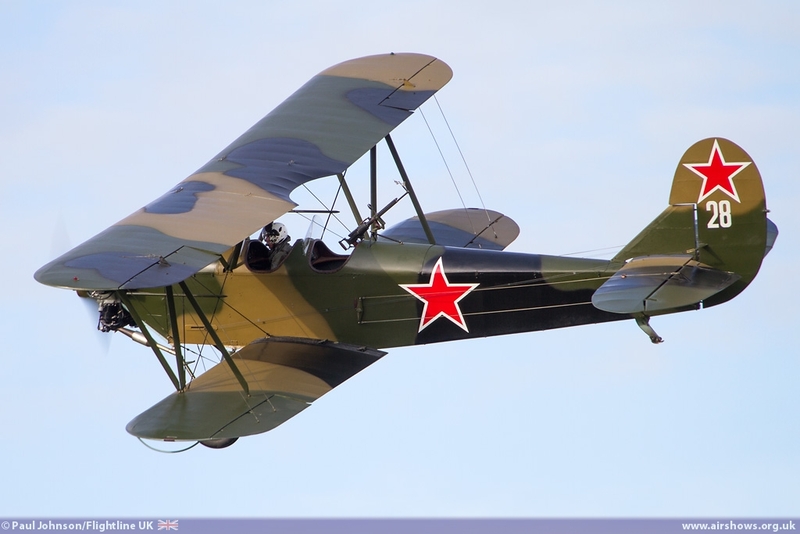 The military theme continued into the next 'tableau' of flying which centred on the conflict in the Western Desert. 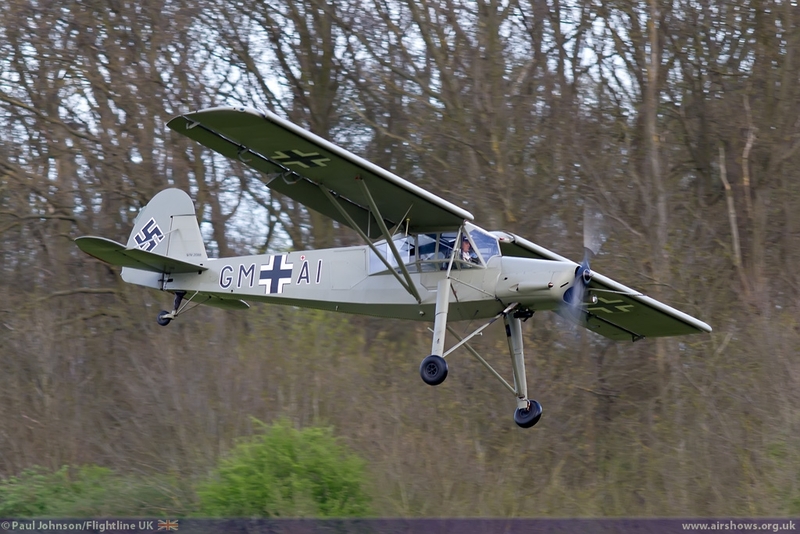 Peter Holloway's Fiesler Storch took full advantage of the winds performing not only a very short take-off but also some very slow flying and tight turns. 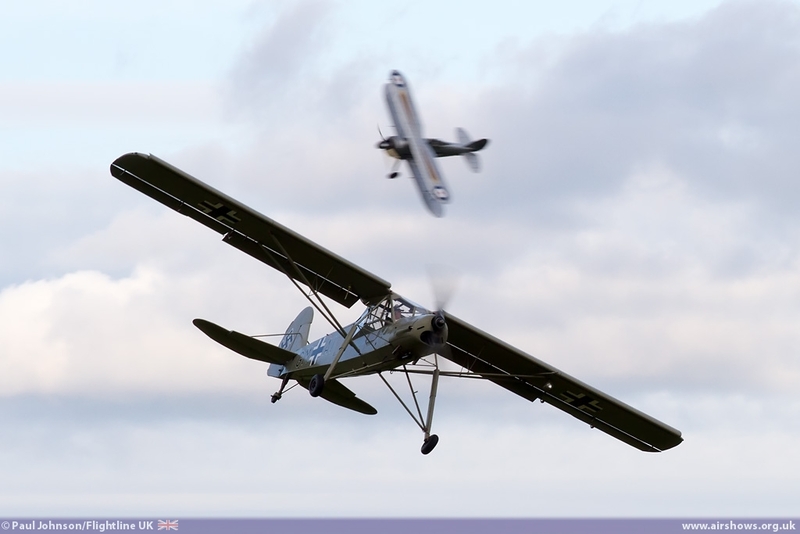 It was soon joined in the air by the Gloster Gladiator which did its best to attack the Storch! 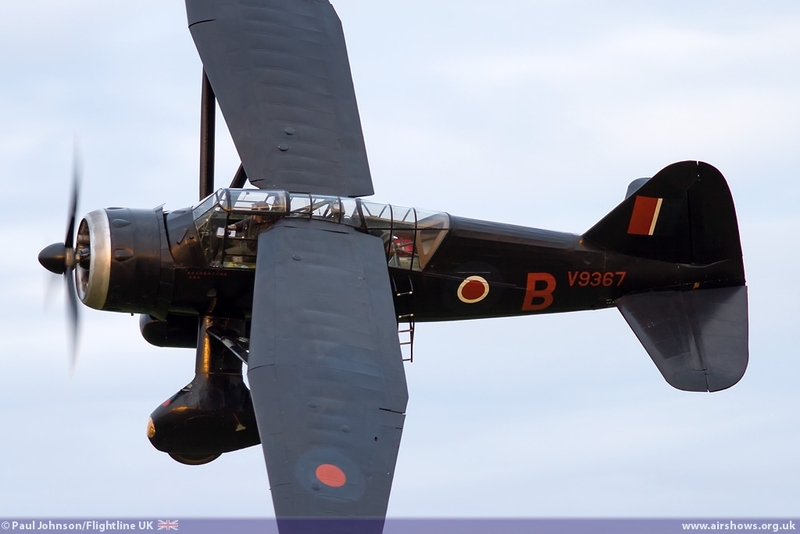 Closing this section of flying was the first display by the Westland Lysander. 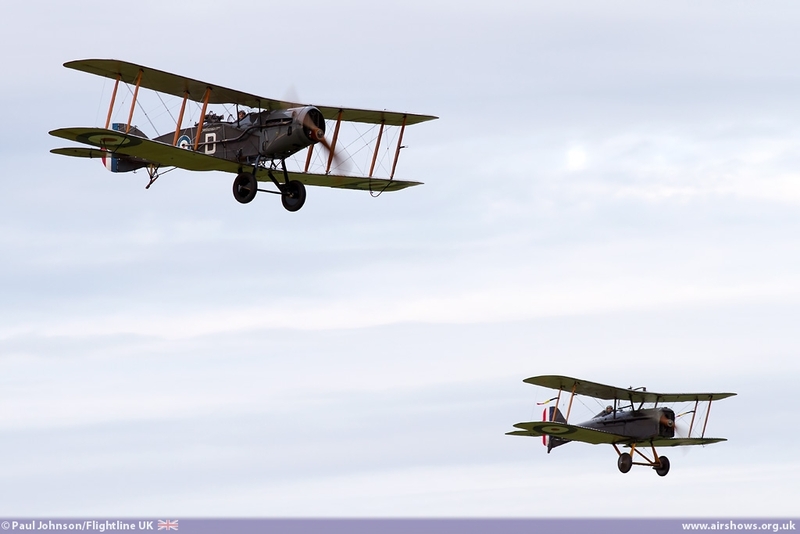 The penultimate section of flying went further back in time with the first public displays for 2013 of the collection's First World War aircraft. 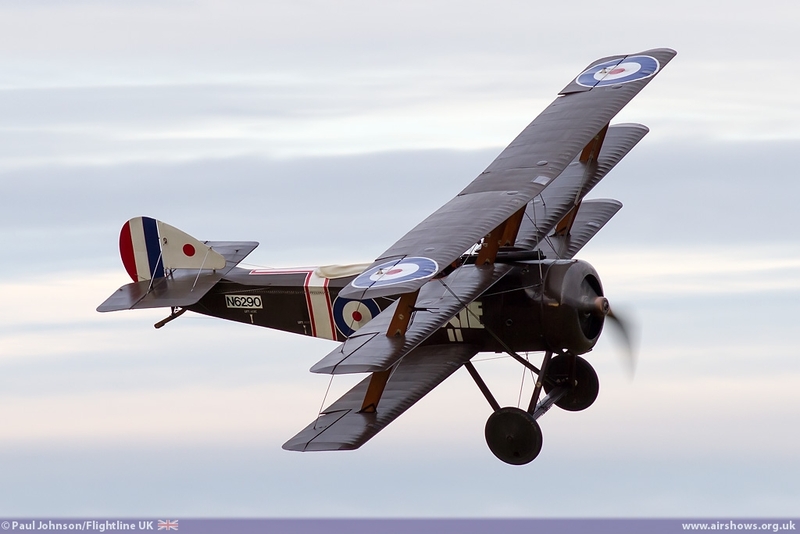 First to get into the air was the Sopwith Triplane with its Le Clerget rotary engine in full chat. 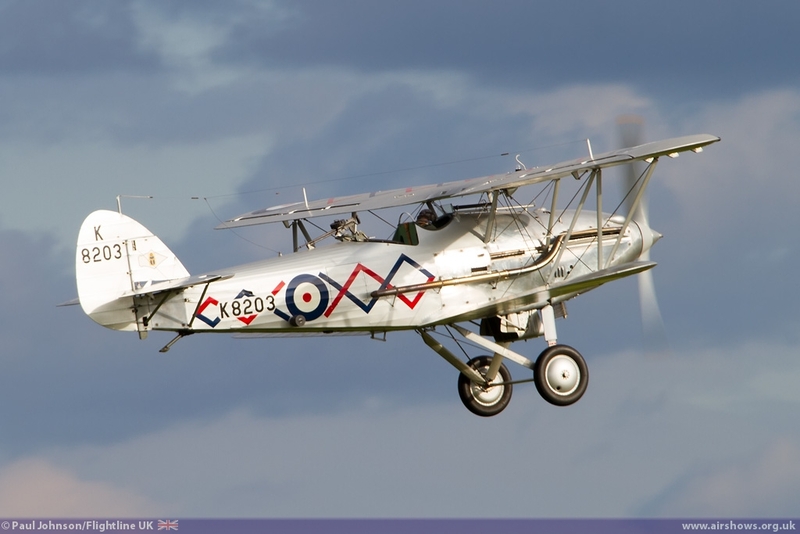 Sadly, the Sopwith Pup was able to join it. By now, though the light had dropped, there was quite an atmospheric sky forming the backdrop to this 'dusk patrol!' 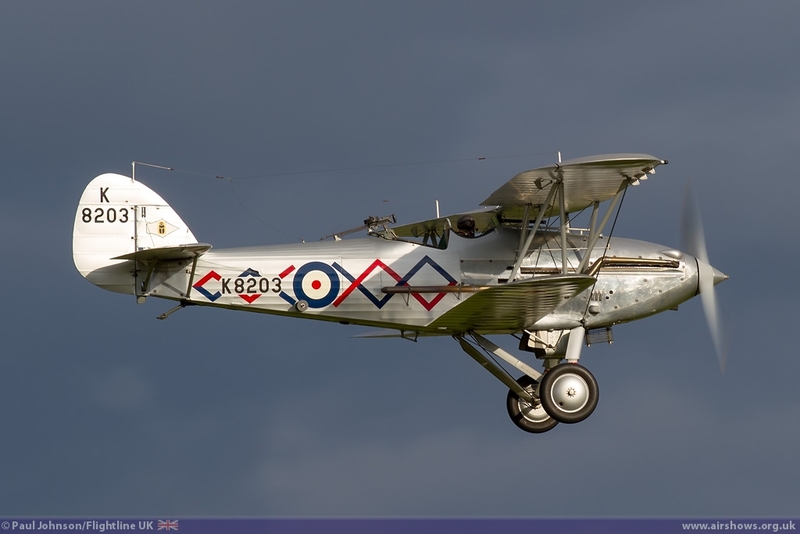 Following the Sopwith came the two inline aero-engine powered First World War fighters, first the Bristol F2b Fighter and then the R.A.F SE5a closed this section of flying. 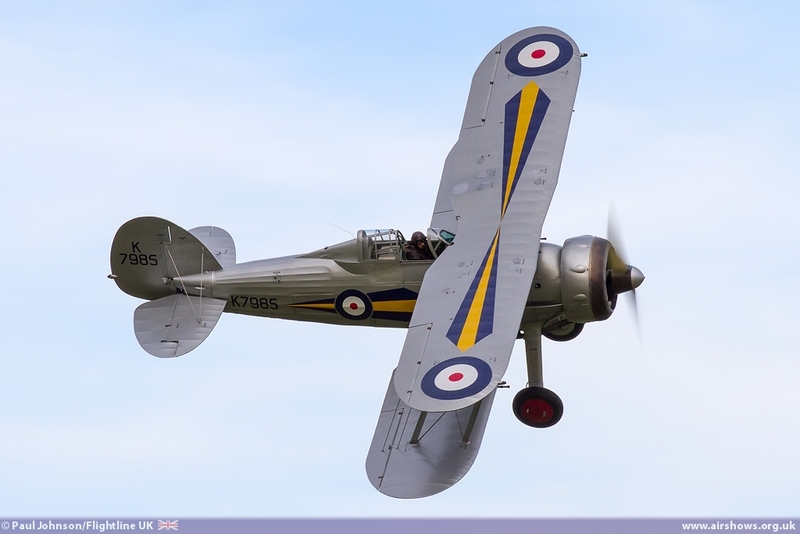 Sadly the winds were just too gusty for the Edwardians so it was left to the Westland Lysander to close the display. 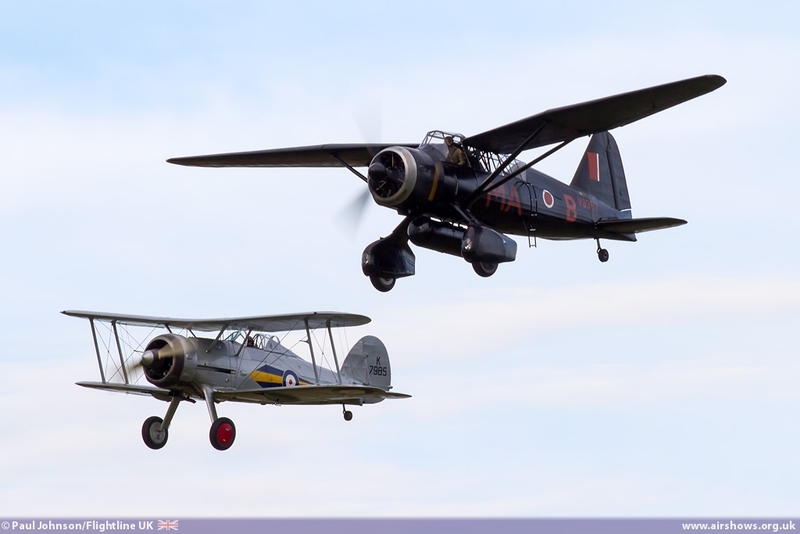 The aircraft had been involved in some filming throughout the day with some re-enactments of Special Operations landings being performed by actors before the display. 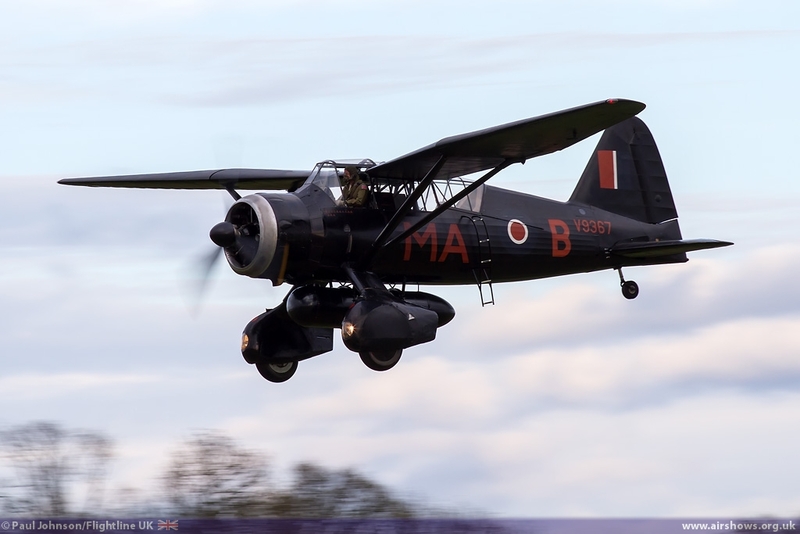 Seeing the Lysander flying in the near twilight is a very poignant reminders of this important role the aircraft performed landing in fields in France to off-load or recover agents in support of the resistance. 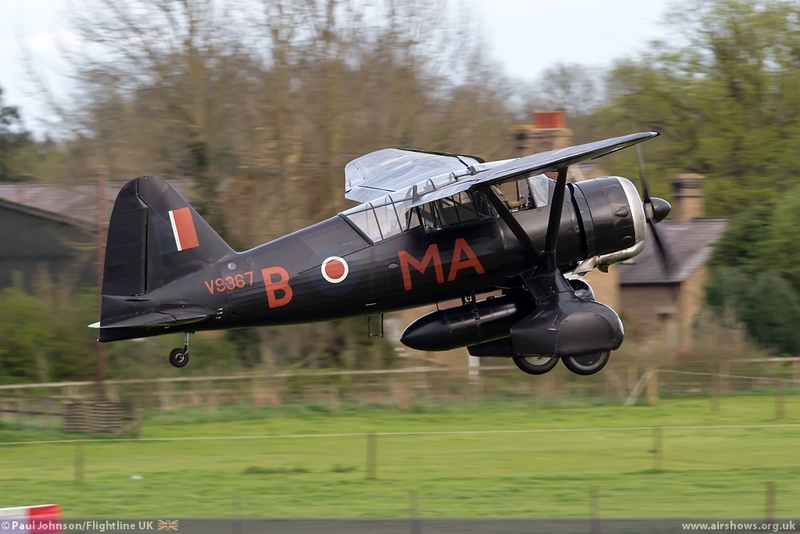 With its landing lights blazing on its wheels spats it made for a dramatic sight as it charged around the airfield to close another magical display at Old Warden.